Slice the onion into quarter inch slices or thin slices and set aside. Now make the batter by mixing gram flour, baking powder, chili powder, salt and quarter cup of water. Mix well to a fine thick batter with your hands. 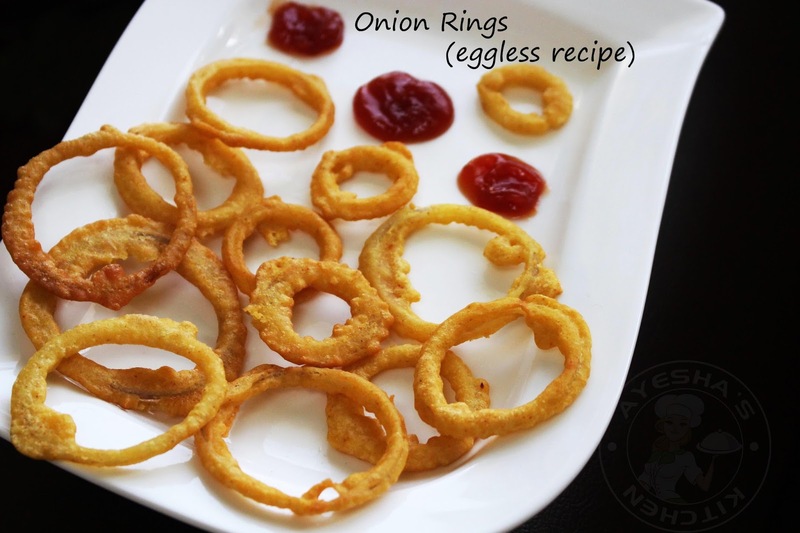 As we are not using egg (eggless version) the batter must be very thick to coat the onion rings. Now heat a non stick pan with oil. The oil must be medium hot. You must make sure about it before dropping the onion rings. Now dip each slice in the thick batter and drop it in the hot oil. Drop it one by one. Repeat the same with remaining rings. 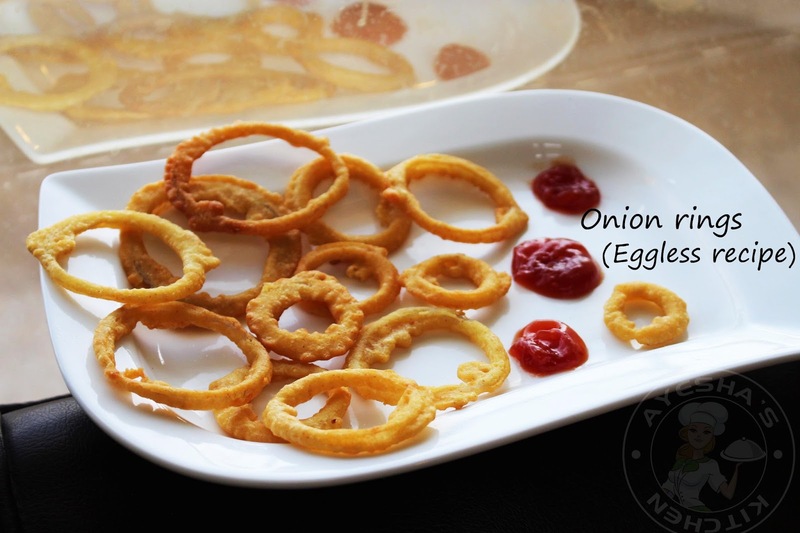 The onion slice must coat fully with the batter while dropping. You can see the rings fluffing up in the oil and it shows the right consistency of the batter. Deep fry the rings for 2 to 3 minutes or until golden. Fry in batches and transfer to a paper towel.